Car sharing is a convenient way to cut transportation costs, help reduce congestion, and contribute to environmental protection. There are car sharing businesses, services and programs for customers who don't own a vehicle or prefer not to use their own car. The vehicles are usually affordable and accessible and can be rented up to a day or for a couple of days, depending on the service you choose. Residents and visitors of Calgary are free to use car sharing services that advertise no annual or monthly fees and reserved parking spaces that are free to use. There are no maintenance costs as well. Prices depend on location, length of reservation, and type and model of vehicle. You can use an app to choose and unlock a vehicle, and it is easy to download it on Windows, Blackberry, Android, and iOS devices. Alternatively, you can book a vehicle online. Car sharing services offer plenty of benefits, one being that the vehicles are located close to or in residential areas and neighborhoods. You don't have to pay car insurance as well. In general, this is a great solution for people who need a car for a short trip or need a vehicle on certain occasions and not on a daily basis. If you and your partner own one car only, then car sharing is also an option to look into. Businesses also benefit in many ways, especially companies that maintain a small fleet of vehicles. They can use car sharing services to pick up goods, products, and supplies or to make it easier for employees to commute and park and meet business partners and corporate customers. This is also a great solution for green businesses that aim to reduce air pollution. Car2go serves customers in Calgary and features a large fleet of vehicles to pick up from convenient locations in the inner city. You are free to take the vehicle on highways if you want to. However, you are not allowed to cross international and state borders. International driving licenses are accepted but you will be asked to provide copies of your driving license and the back and front of your license. Clients are free to leave the vehicle at any location in the so called Home Area. When it comes to pricing, you will be billed by the minute. There are promo codes to use and cut the costs. Car2go also offers free minutes on certain occasions, and they can be used within a 45-day period. Of course, you can discuss car sharing with your colleagues at work and agree to take turns. If it is 5 of you, you will use your own vehicle just once a week. This way you can split the gas bill and help ease congestion and reduce carbon emissions which contribute to air pollution. If this is not an option, you can always use a carpooling service that features a ride matching option. The best part is that ride matching is free of charge, and the service is available to residents and visitors of Calgary. Just register online, fill in the required information, and then ask for a match list. When you find fellow passengers for carpooling, each of them reimburses the car driver for gas costs and vehicle usage. In addition to shared expenses, carpooling takes different forms, which gives passengers flexibility and choice. The different forms include multi-hop ride sharing, the odd-even formula, real time ridesharing, flexible carpooling, and slugging or informal or casual carpooling. You can also use your bike to commute, especially if your office is within walking distance or not too far away from your home. Public transit is also a convenient way to commute and save on high gas prices. Car sharing has become increasingly popular not only among people concerned about pollution but also because it saves money on transportation. This means that you can make money out of car sharing and help your customers save on gas at the same time. High gas prices obviously hike operational costs. There are other challenges, one being logistics. You have to think about designated spots that are easy to locate and return the vehicle. Customers often ask to extend the reservation which can be a problem if someone else has booked the vehicle right after that. A business plan makes it easier to qualify for financing for the initial investment and other costs you may incur. The main sections of a business plan include your funding requirements and financial projections, staffing and operations, executive summary, and research and development. Business plans normally include your sales and marketing strategy, market analysis, company description, and confidentiality agreement. The business plan allows you to explain the advantages of car sharing, i.e. this is an affordable and convenient way to commute and an alternative to owning a car, whether for business or private use. Outline the advantages in your executive summary. Include a section or a table on your financial projections – retained profits, profit after tax and before tax, back office, office, and fleet costs, income, etc. You also need a section on your products and services, shareholders or promoters, future developments and objectives, long term goals, etc. It is also a good idea to describe the weaknesses and strengths of a car sharing business. Weaknesses include things like cash flow, insufficient outside investment, lack of resources to cover the initial investment, etc. Make a list of your strengths as well – strategic locations, fully equipped vehicles, tried and tested equipment and technology, sole car sharing service provider in your area, experienced and knowledgeable financial, management, and executive teams, and anything else you can think of. You may also include a brief description on challenges and opportunities, for example, the opportunity to cooperate with city bike programs and public transit, the positive impact of national and regional programs, contracts and agreements with corporate clients, and so on. Finally, it is important to include a market analysis section that covers your target market and potential customers. List potential customers such as housing management businesses, healthcare centers, clinics, and hospitals, government agencies, and other entities and businesses. If you want to, you can include a section that describes your competitive advantages, i.e. new equipment and technology, competitive prices, saving customers time and money, and so on. The initial investment depends on factors such as the number of vehicles in your fleet, equipment, designated spots to pick up and return vehicles, office space and location, number of employees, and other factors. There are two types of financing for your business, private lenders and government programs that offer grants and low-cost loans (https://www.creditavenue.ca/getting-a-personal-loan-with-bad-credit-in-canada/). The choice is up to you and depends on the amount of financing required. Low-cost financing is available under the Canada Small Business Financing Program and businesses are free to use the money to buy equipment and vehicles, for renovations, the purchase of buildings and premises, land, and registration fees. You cannot use government financing to pay for things like holding fees and inventory. Other expenses that are not eligible include working capital such as accounts payable, accounts receivable, and cash as well as assets that you acquire as a holding and goodwill. 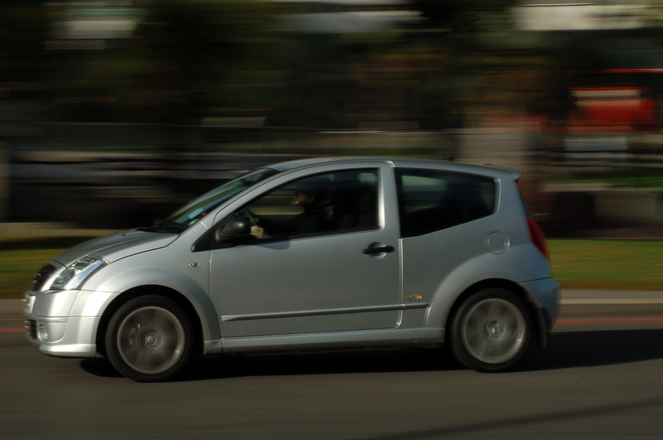 Another way to finance your car sharing business is to apply for a business loan offered by a union or bank (https://www.creditavenue.ca/). Financial institutions offer start-up loans, business lines of credit, term and installment loans, and mortgages for which you need to offer collateral (like your home). The obvious benefit of a secured loan (https://www.creditavenue.ca/canadas-top-ten-secured-credit-cards/) is the competitive interest rate and better terms in general.